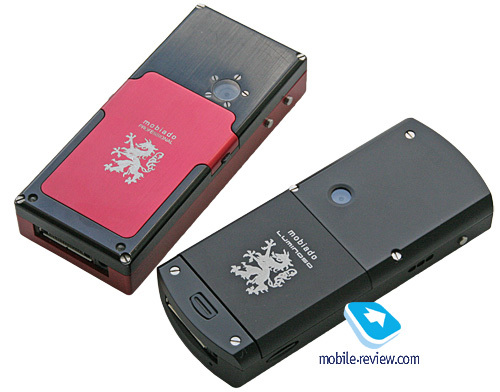 It has been about two years since the first Mobiado’s model release and our review, during this time the Mobiado Professional has acquired two versions – Mobiado Executive and Mobiado Executive Limited Edition. 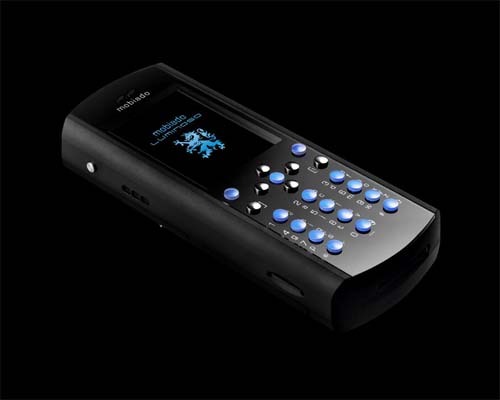 They differ from the original metal version solely by wooden casings, and on top of that only 200 units of the Limited Edition were rolled out. 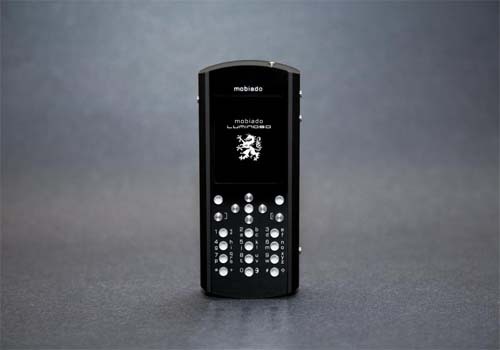 Has Mobiado managed to turn into a sustainable brand in the luxury market over the last two years? As for me, the company has failed - you can’t find its advertisement in popular magazines, among the target audience no noticeable actions or activities are being carried out. 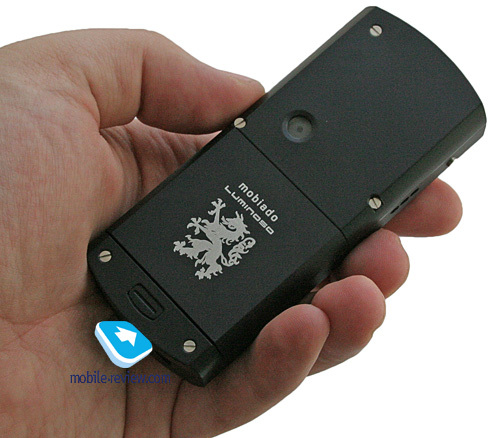 The company banks only on distributors who should convince the consumer that Mobiado is awesome and can boost its owner’s status in an eye-blink. 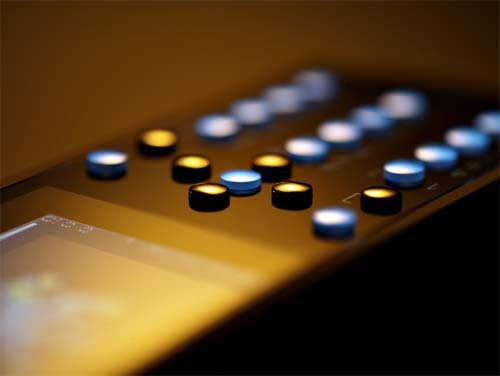 But the market of such handsets is rather limited, high margin imposed both by distributors and vendors makes them, as they say, really golden. 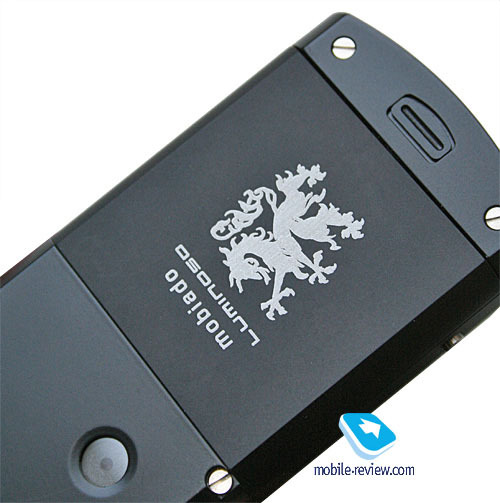 Should you pay a bit more and you’ll get your hands on a new Vertu, which is way higher in class. 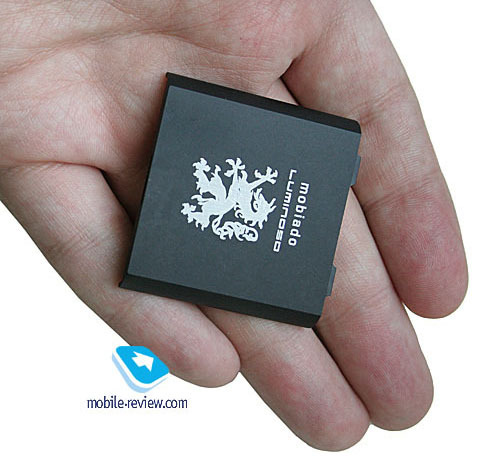 Mobiado should really aim at the 1000-1200 price-bracket, and by no means 2000 Euro plus. 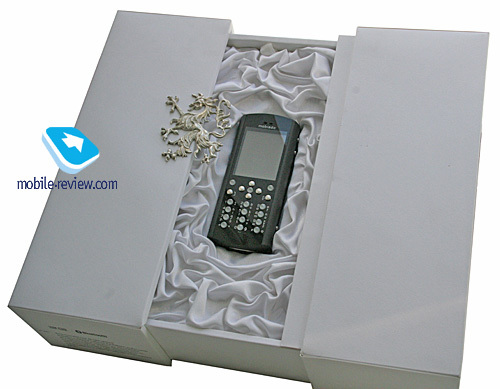 That’s because technically the consumer gets merely a glammed-up wrapping for a mass-market offering - the Nokia 6233 - the wrapping made of aluminum, plus sapphire keys and the same glass for the camera. 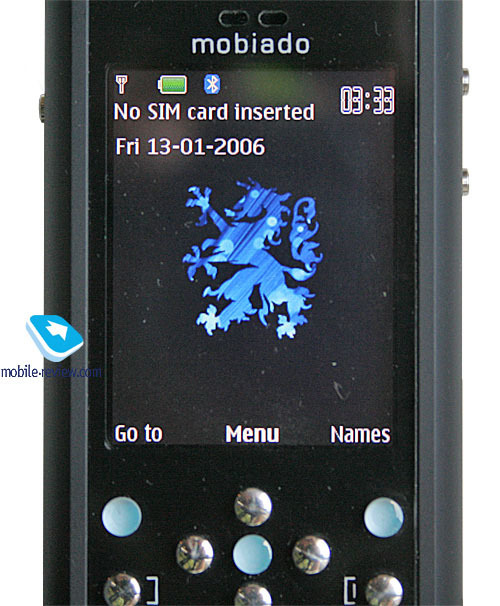 It is the casing that tacks the biggest part of the premium on; otherwise Mobiado does nothing to the design. 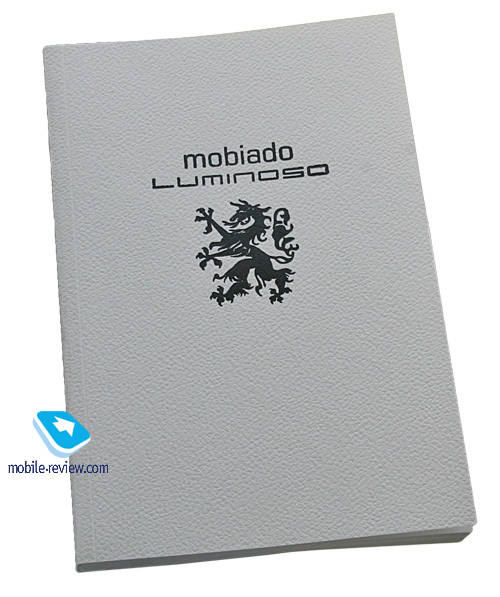 So, the Luminoso maximally resembles the original – the Mobiado Professional. 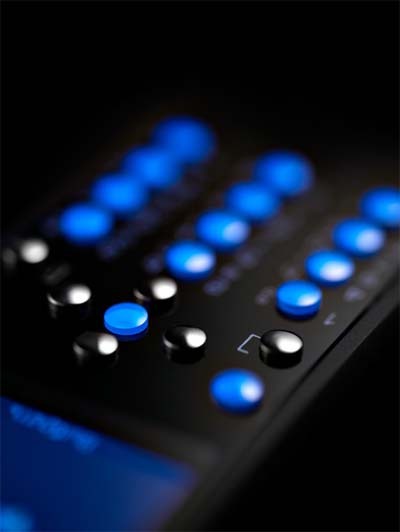 Here goes: the same round keys, and vertically-arranged captions and no backlighting for these captions. 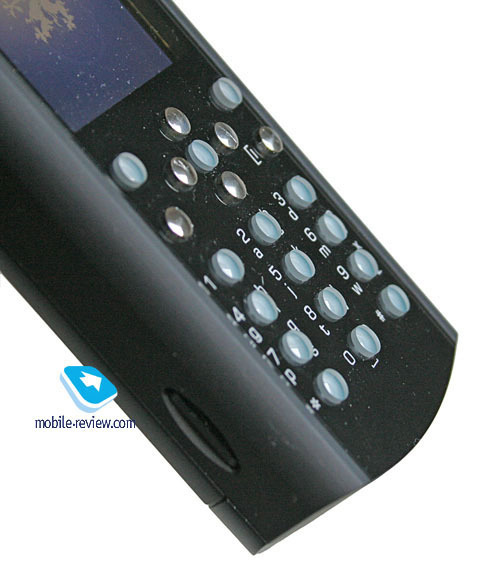 Like before, the keypad doesn’t inspire much optimism, these keys are pressable, no doubt about that, but using them during long sessions is a real pain, especially for SMS-messaging. 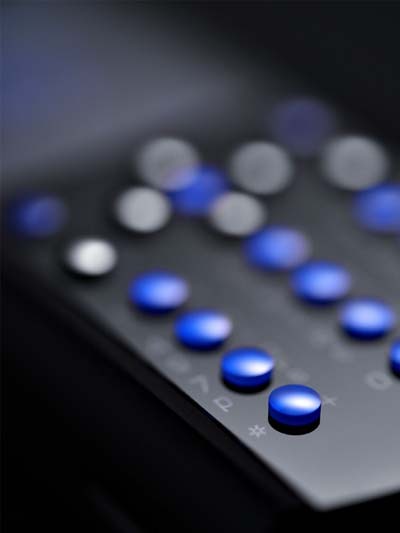 The company has mediocre engineers - they failed to implement the concept of a navigation button, available in the original model. 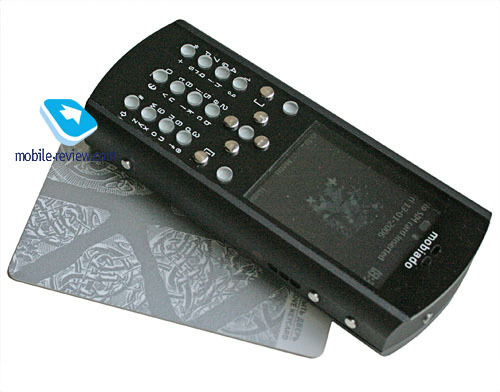 Instead, you are offered to browse through the phone with the same keys, and the accept button is now placed inside the rhomb. 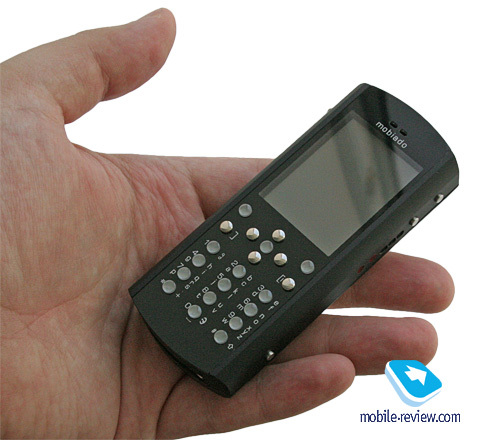 This hurts the handset’s ergonomics badly – where the Nokia 6233 feels natural, the Luminoso puzzles you, so you have to move your finger inside this group of keys all the time. 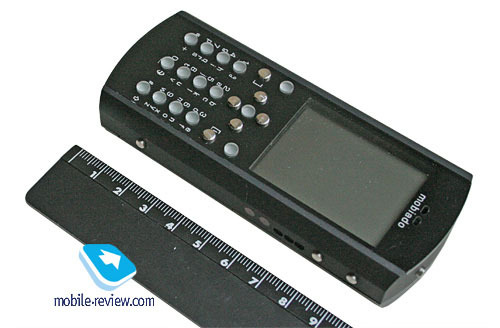 The handset measures 109x46x18.5 mm and weights 132 g. The dimensions of the previous model were as follows: 105x46x20 mm and 142 g in weight. 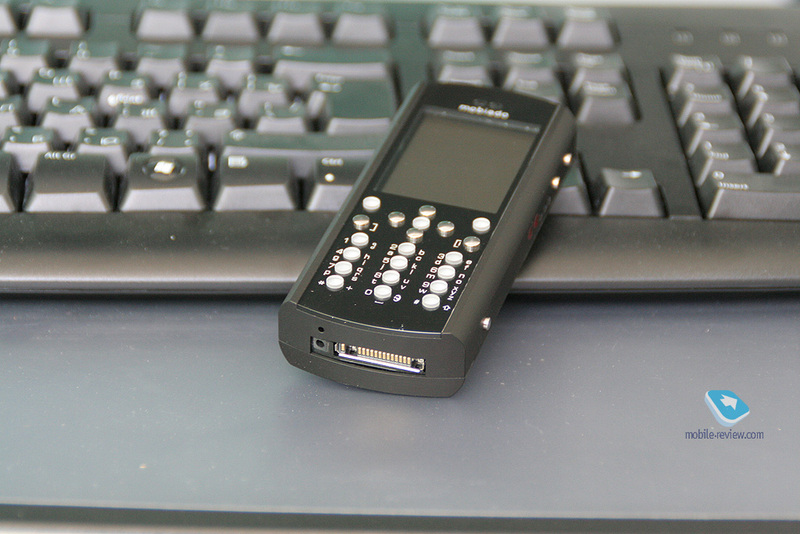 The handset has surely trimmed some size and weight off, but it doesn’t look small after all. Compared to the Professional it feels roughly the same. 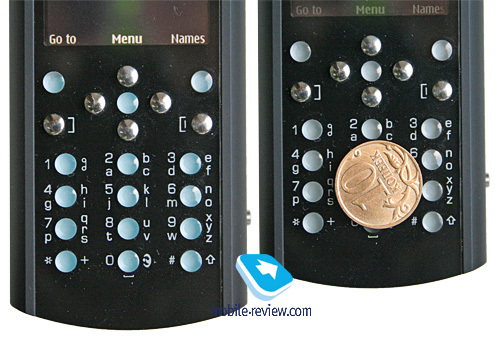 Faced off against the Nokia 6233, the model proves to be bigger, Nokia’s product measures up at 108x46x18 mm and tips the scales at only112 g. This two-millimeter difference in size normally shouldn’t affect the feel, but no way, it appears to be clunkier. 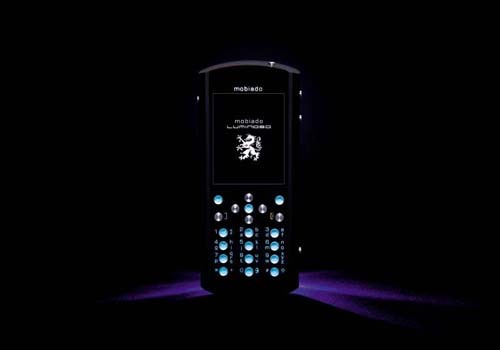 The same effect was observed for Sony Ericsson K850i which was skinnier than Sony Ericsson K800i, but subjectively looked bulkier – all due to the rectangular shape, which is perceived accordingly. The Luminoso design is mainly vintage and has nothing to do with contemporary trends. 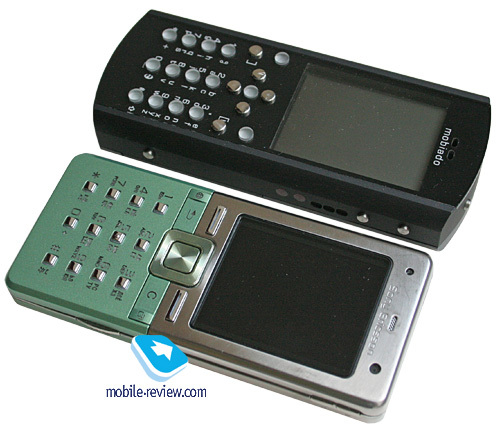 Remember the rounded forms and smooth lines of Vertu or Nokia Sirocco Edition and Nokia 8600 Luna, released recently. 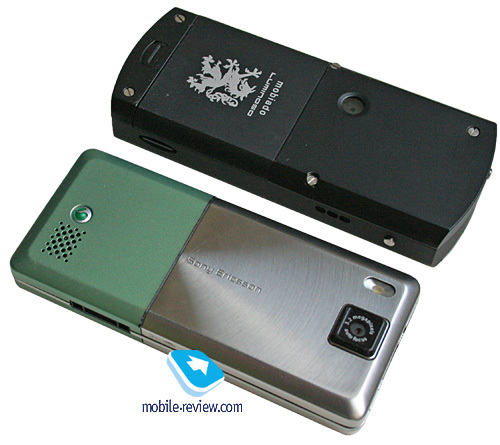 By the way, the quality of Nokia 8600 Luna and Luminoso’s casings is almost the same, in any case it impossible to distinguish them by touch, both are pleasantly rough. 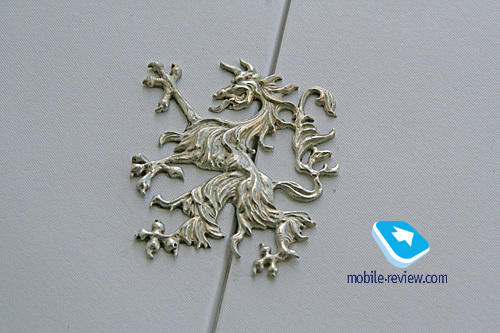 Unlike Mobiado, Nokia’s offspring employs stainless steel. 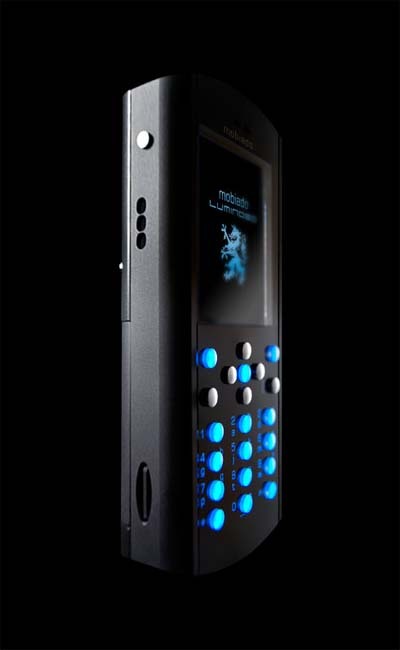 The Mobiado Lominoso comes only in black. 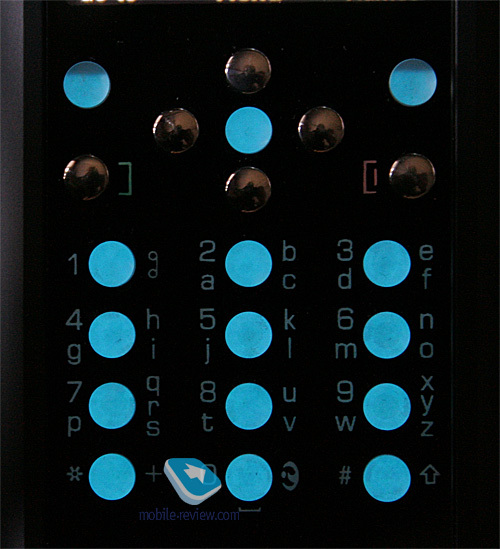 The sapphire keys are lit in light blue, the backlighting is very appealing, but is of no practical use at all. 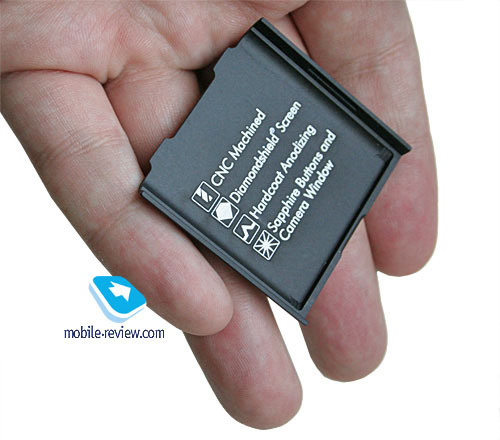 The Slot for SIM-card is placed sideways, it is uncovered, so dust particles easily gather inside it and then slip into the casing. The manufacturer strives to emphasize that the casing is made of a single piece of aluminum which is anodized and covered with a special protective layer. 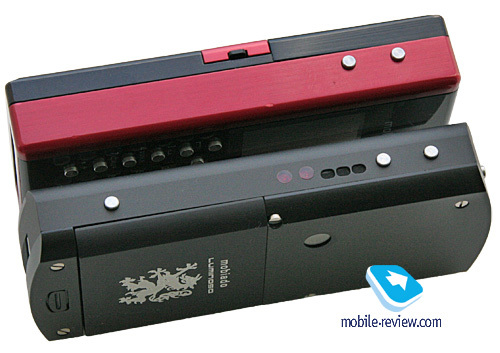 From my point of view, in this model, like in its predecessor, they have made one but a crucial mistake. 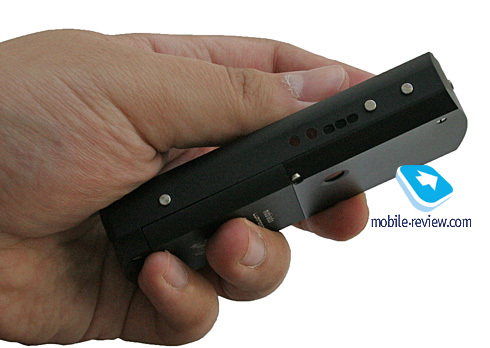 The handset’s antenna is screened by the casing, so while in the areas with unstable signal, the original Nokia 6233 does much better. 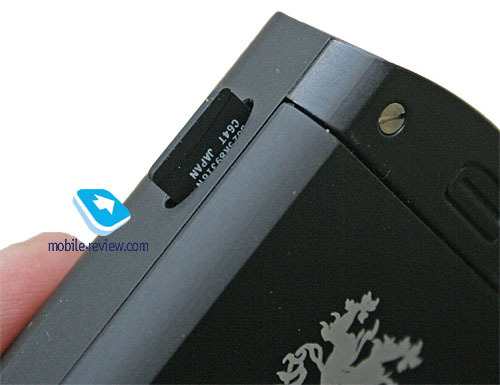 The second drawback is the device radiation level which is evidently higher than that of the Nokia 6233, thankfully, it is directed through the plastic front plate to the speaker’s head. 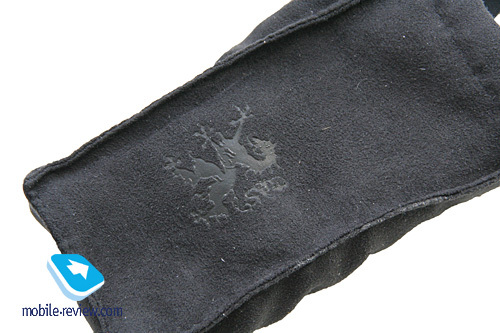 The front fascia is clad in Diamond Shield plastic; the manufacturer claims it is scratch-resistant. 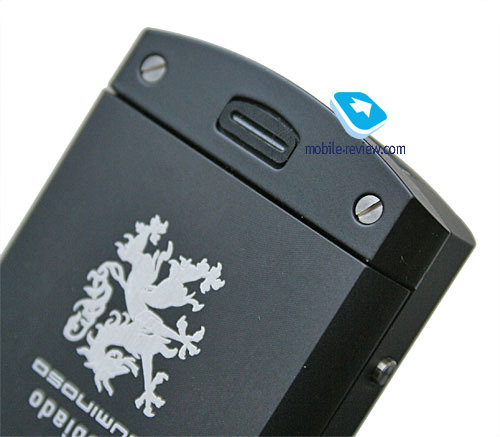 At the same time grease from hands and ears easily jumps on the display. If it takes a hard fall, the entire plate covering the display with keys built in can move a pair of millimeters up, we saw this once. 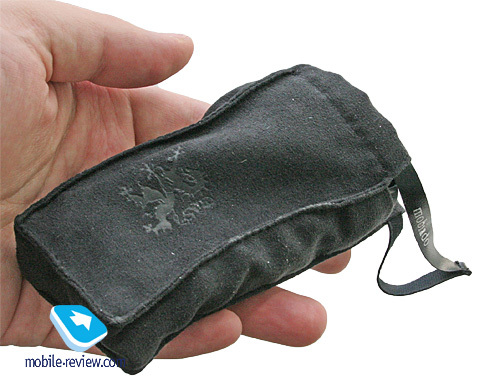 The experience of the previous models has been taken into account and exclusively for the Russian market the supplier has created his own variant of package - that of the original was extremely slender. 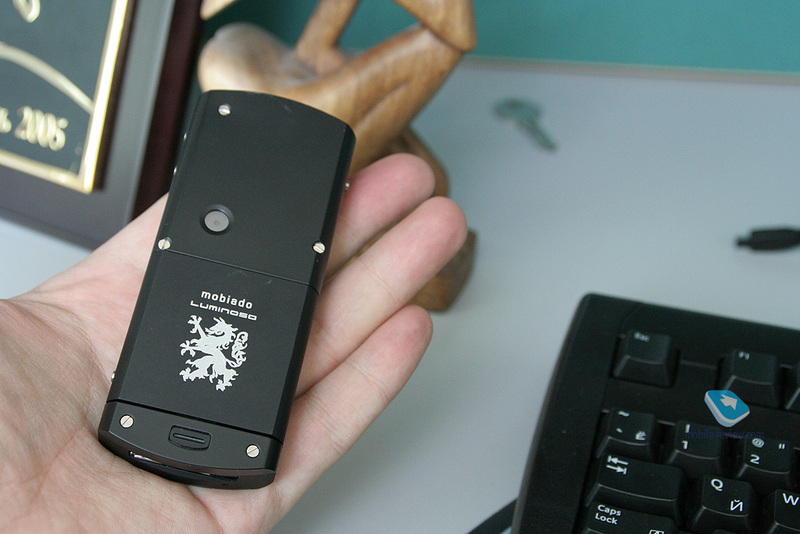 The box has the logo of Mobiado on it which is a sort of distinctive mark. 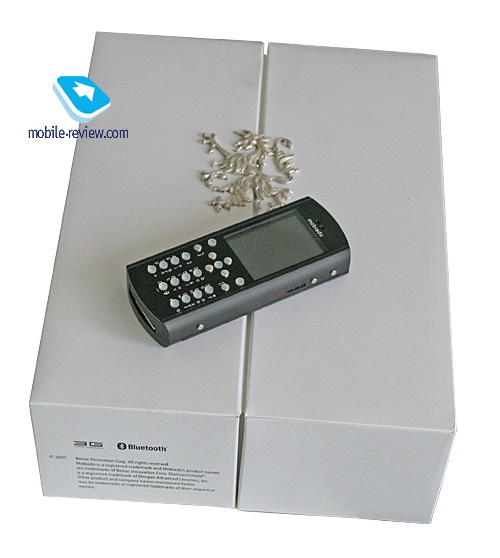 The box can be opened sideways, so doing this reveals the handset itself lying on the white cloth, under which you will find all the accessories. 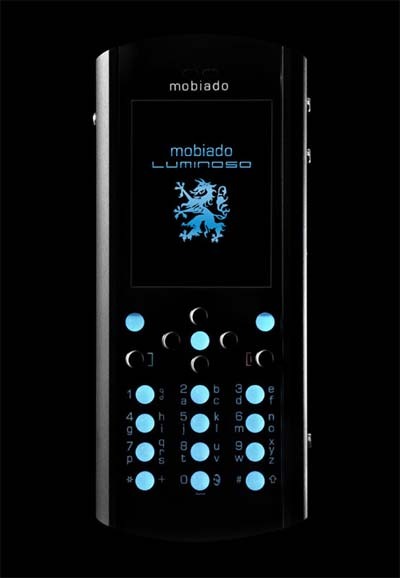 Today’s Mobiado Luminoso price makes up about 2000 Euro in Russia. This price-bracket lacks any other models but they are, probably, not needed at all. 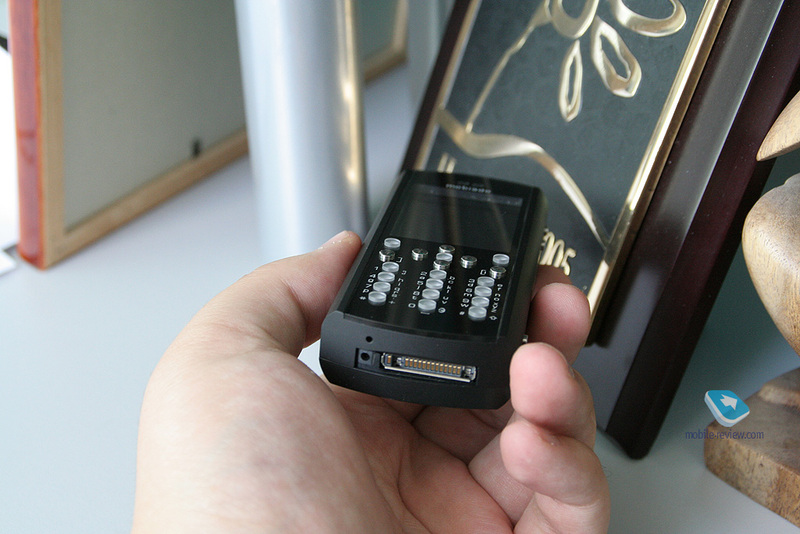 Technically, the Nokia 8600 Luna has similar functionality as well as resembling materials used and is available for about 700 Euro. 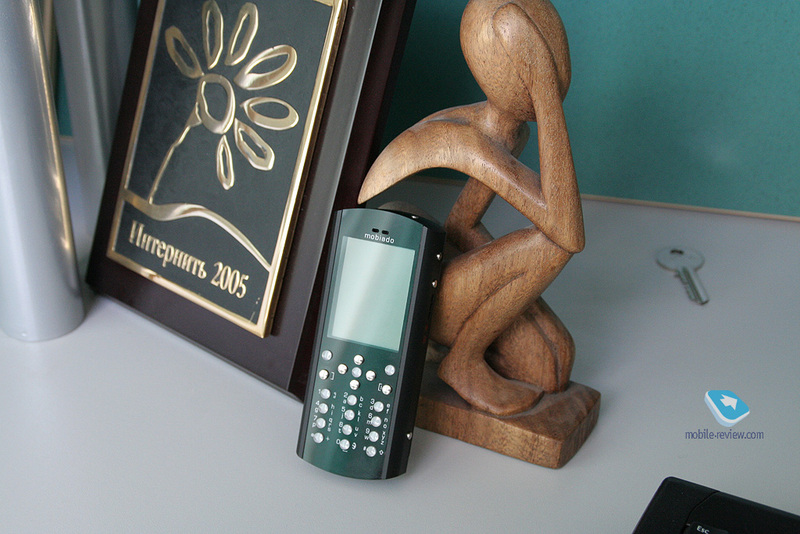 Quite obvious, isn’t it, at that Nokia is a much more status-savvy device. 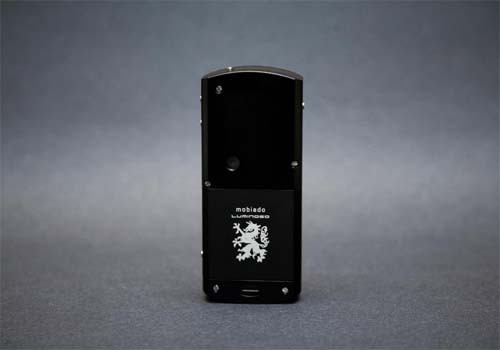 To me, Mobiado doesn’t develop, trying to put to use one and the same casing for already a couple of years instead, which is disturbing, as it is quite possible to create top-notch variants of various casings, there is nothing difficult in this. And then it would be alright to say that these were all interesting and assorted models. 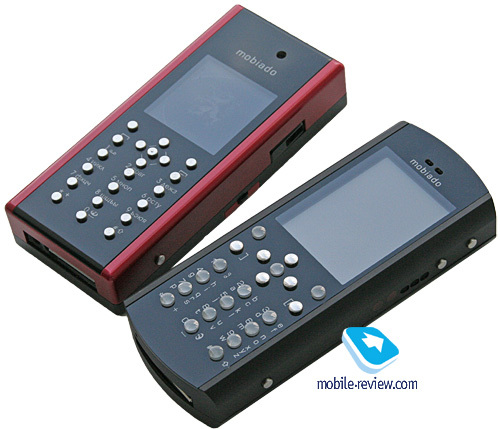 But for now all Mobiado-branded products are intended for buyers-by-accident who are eager to stand out in a crowd.